Published on January 17, 2011 in General T&T, Letters, People's Partnership, Politics and Protest. 2 Comments Tags: Politics, T&T Govt, Winston Dookeran. When it come to books, I can’t win you at all, but when it come to common sense, I ahead by ah mile. I could understand yuh strategy in not wanting to continue in the vein of the previous regime, spending the people’s money willy nilly. And the fact that you will need some time to settle in before making your adjustments. But, when yuh saying and doing every thing to convince me that the treasury is empty, and the country don’t have money, please stop it. Like yuh taking we for ah ride to get we giddy headed. Published on October 17, 2010 in COP, Culture, General T&T, People's Partnership, Politics and UNC. 2 Comments Tags: Jack Warner, Kamla Persad-Bissessar, Politics, Raffique Shah, T&T Govt, Winston Dookeran. A brief story in the Express last week caught my attention. The report spoke of serious differences between two organisations purporting to represent nationals of this country who have indigenous blood flowing in their arteries. The first contentious issue is a claim that one group represents only Amerindian descendants who are Catholics. The other was the timing of the “smoke ceremony to the spirits”. One group swears it should be before dawn. The other went ahead “smoking” at 7 a.m. Published on September 27, 2010 in Business, Finance, General T&T, Law, Parliament, People's Partnership, PNM, Politics and Protest. 6 Comments Tags: Abuse, Clico, Politics, T&T Govt, Winston Dookeran. One of the things which I tried to do as a parent was to inculcate in my son the knowledge that to be an adult meant being prepared to accept responsibility for the consequences of one’s actions. This, after all, is one key thing which separates adulthood from childhood. When you are a child it is assumed that you cannot be held entirely responsible for your actions and your parents or guardians are assumed to accept that responsibility in your stead. When you become an adult the responsibility is all yours. Published on September 20, 2010 in COP, Finance, General T&T and Politics. 3 Comments Tags: Budget, Politics, Stephen Kangal, Winston Dookeran. THE EDITOR: Finance Minister Winston Dookeran has woven, in his own inimitable and unique style, an underlying development and ideological philosophy/ substructure that permeates, underpins and sustains the visible superstructure/fabric of his 2010/11 fiscal and development package The concept of inclusive or balanced development that is a fundamental pillar of the economic strategy of the Partnership regime was initially conceived within the womb of the COP partner. It is pivotal to the COP Mission and Vision Statements. Published on September 12, 2010 in Business, Elections, Finance, Law, People's Partnership and Politics. 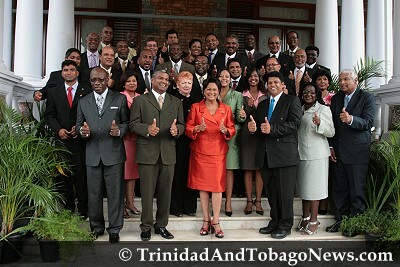 14 Comments Tags: 2011 Budget, Kamla Persad-Bissessar, Patrick Manning, Politics, Raffique Shah, Winston Dookeran. LET us be realistic about this burning issue of the minimum wage: no employer who is worthy of being called an entrepreneur pays anyone in his establishment $9 an hour. Put another way, no worker worth his or her sweat, however desperate she may be, would work for eight hours to take home $72. He would be better off hustling on the sidewalk, picking pockets, or robbing others of their valuables. Published on September 11, 2010 in Finance, General T&T, Parliament, People's Partnership, PNM and Politics. Closed Tags: Finance, Politics, Stephen Kangal, Winston Dookeran. Never in the annals of the political and parliamentary history of national budgeting in T&T has such a delicately balanced, radically reforming, investment stimulating and confidence building 2010-11 fiscal package been accepted and lauded by so many across the country. This consultative-based, people’s budget was truly a national and grass-roots event with almost everyone except for a few misguided and bazodee PNM MP’s giving Finance Minister Dookeran the thumbs up approval. Published on September 8, 2010 in Finance, General T&T, Open Thread, Parliament, People's Partnership and Politics. 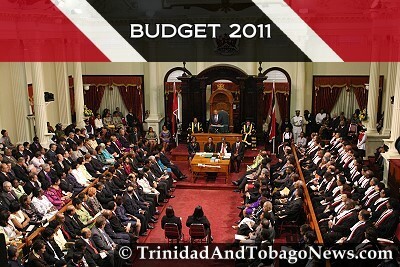 3 Comments Tags: 2011 Budget, Kamla Persad-Bissessar, Politics, Winston Dookeran. Published on August 15, 2010 in Complaints, corruption, Finance, General T&T, People's Partnership, PNM, Politics and UDeCOTT. 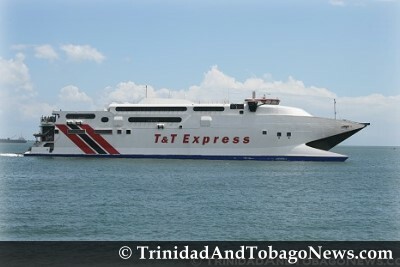 2 Comments Tags: Colm Imbert, Jack Warner, Lara stadium, NAPA, Patrick Manning, Politics, Raffique Shah, Rapid Rail, UDeCOTT, Water Taxi, Waterfront project, Winston Dookeran. IT is easy for people to say that the new Government should stop looking back, stop blaming the ousted People’s National Movement (PNM) government for much of the mess we find ourselves in today, and just move on. Had the Patrick Manning regime been more circumspect in handling the huge windfalls we enjoyed from around 2004, I would have endorsed that view, asking the Government to get on with governance, make no reference to the past. Published on June 22, 2010 in COP, Crime in T&T, General T&T, Parliament, People's Partnership, PNM, Politics, Protest and UNC. 23 Comments Tags: Cashew Gardens, Crime in T&T, Kamla Persad-Bissessar, Politics, Squatting, T&T Govt, Winston Dookeran. I think it was Trade and Industry Minister Stephen Cadiz who described the persons illegally squatting on land at Cashew Gardens, Longdenville as behaving as if it was the wild, wild west when they rushed and staked a claim to land. Published on May 28, 2010 in COP, Elections, Gender, General T&T, Media, People's Partnership, Photos, Politics and UNC. 32 Comments Tags: Government Ministers, Jack Warner, Kamla Persad-Bissessar, Politics, T&T Govt, Winston Dookeran.